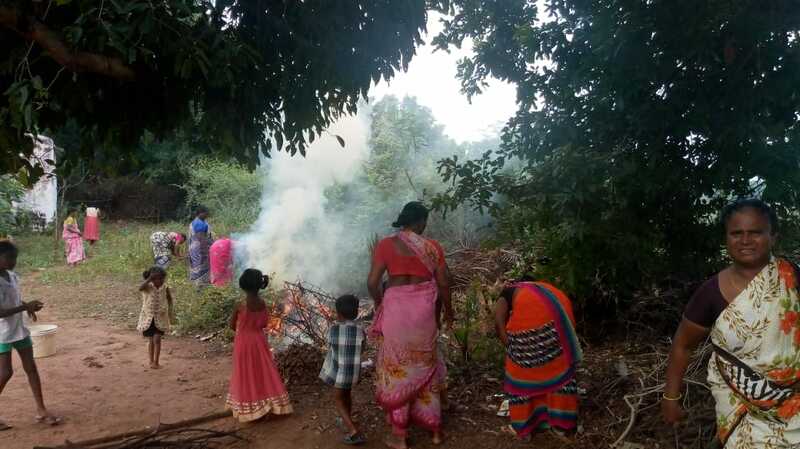 Yerrupalem November 2018: The rural communities of Telangana and Andhra Pradesh have gathered at village level to face te ecological problem in their communities and made effective a huge action of cleaning surroundings. 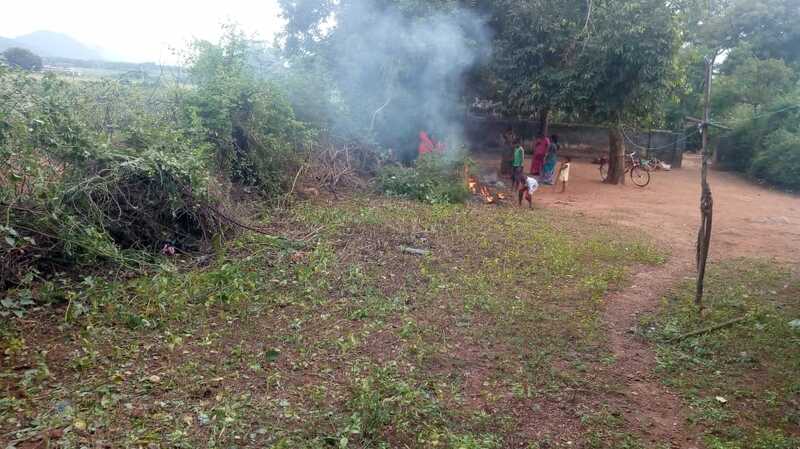 Streets, rivers, courts and fileds have ben targeted by groups of women children and men, with shovels, bags and a lot of goodwill they have made their villages clean and green. The program is part of the Community Based Development Program run by Arbor in the tribal communities of the region since 2005. 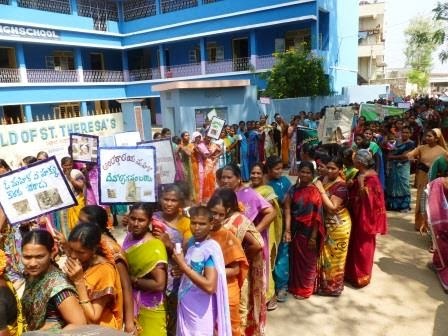 Khammam August 2018: more than 7.000 women where involved in the awareness activity conducted by Arbor animators in 370 rural villages of Telangana. The "green saris" staff moved village to village and house to house to meet the people and to motivate them to join the self-help groups and to start a community based organization together. Under the guidance of Mahilas leaders and field staff, hundreds of communities were able to start small saving programs, open a common bank account and give life to a new concept of village, based on collaboration, shared work and constructive approach. Different castes and religions, tribals and scheduled monorities made the Arbor model effective and alive in all the region and are now working together to expand the Raimon Panikkar living vision to many other villages. Khammam July 2017: The quarterly training session has taken place at Karunagiri training centre (T.S.). Tens of animators and coordinators from all the district, gathered to share their experience and improve their skills and knoledge on Community Based Organization and field operations. The annual action plan has been revised and implemented with the following topics: environmental education, leaders training, children education awareness, community activities, financial education, women empowerment and social awareness. Sarapaka, March 8th 2017: The 6th and final batch of women completed their 6 months training on tayloring. 39 young girls from the rural villages of Sarapaka mandal, received a stitching machine with the system of microcredit without interests. The ladies will start a small income generating activity in their homes to help the family finance and possibly gain a dawry to get married and create a family. Mudigonda, November 2016: Training program at village level has involved 1600 leaders for the whole month in every village of the district of Khammam, Telangana. Leaders joined programs on community based organization, social analysis, motivational speaking, conflict management, community resources management, role of leaders in the village life and political issues, individual and collective growth strategies, poverty alleviation, monitoring system and and many more. 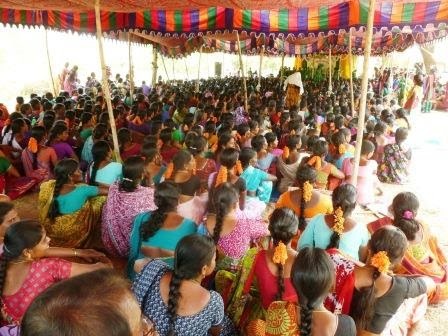 Karunagiri July 29th, 2016: more than 3000 women participated at the 10 years celebration of Arbor in India. Arbor Mahilas from all the southern villages of the Telangana state gathered together in Karunagiri, Khammam to share the joy of their development in the great community based organization that change their life. The feast has been animated by Arbor women's dances, songs, dramas and witnesses speeches. Beautiful messages of have been spread by all the guests at the presence of the authoritier, the bishop of Khammam, Arbor India founder, Arbor Switzerland vice-president, ITDA asst. Director and staff. Congratulation to all for this astonishing result and for the progress achieved by the people in their communities. 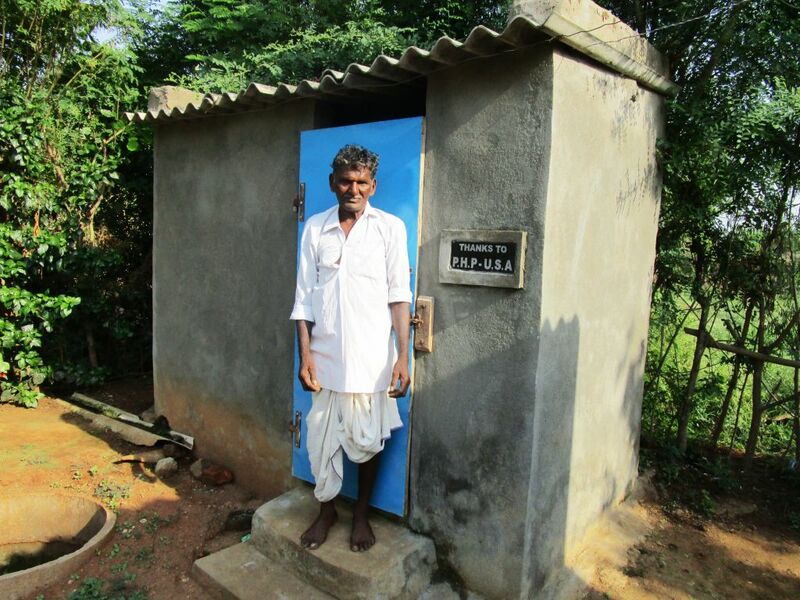 Thirumalypalam January 2016: a new area has joined the Arbor program for community based organization in the Khammam district, India. The villages in Thirumalayapalem mandal includes: Bachodu, Bachodu Thanda, Beerolu, Chandru Thanda, Dammaigudem, Edullacheruvu, Erragadda,Gopala puram, Gol Thanda, Hasnabad, Hydersaipet, Islavath Thanda, Jallepalli, Jupeda, Kakarvai,Suddavagu thanda,Jaganadhapuram, Kokkireni, Medidapalli, Mohammadapuram, Painampalli, Patharlapadu, Pindiprolu, Raghunadhapalem, Rajaram, Solipuram, Sublaid, Thalla Cheruvu, Thettalapadu, Thirumalayapalem and Tippareddigudem, kukalatanda,mekalatanda,mulamarithanda. The total population of the mandal is 60.568 with total literates 24.783. 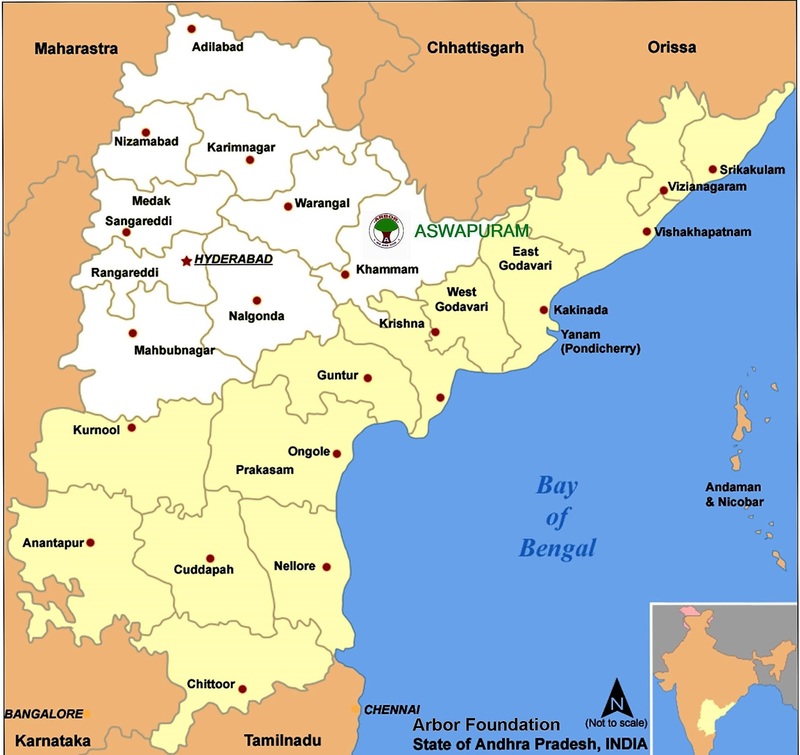 Aswapuram October 2015: a new area starts the activity for rural integrated development for community based organization in the state of Telangana in India. 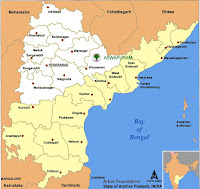 The mandal of Aswapuram (అశ్వాపురం) includes the following rural villages: Amerda; Ammagaripalli, Anandapuram, Chintiryala, Golagudem, Gondigudem, Jaggaram, Mallemadugu, Mittagudem, Mondijkunta, Nellipaka, Thummalacheruvu, Gopala Puram and Seetharampuram. We welcome the new communitues and wish them a bright future in our joyful family. The academic evaluation commitee at Turin University has evaluated the applications and the results of interviews for the 2015 scholarship for reserch projects in Telangana, India and has determined the list of candidates eligible for the Raimon Panikkar scholarship. We would like to congratulate candidates who have successfully secured a Raimon Panikkar Scholarship for the 2015/2016 academic year and wish them every success. 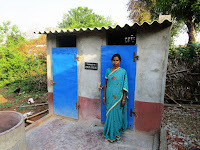 Sujatha Nagar June 2015: The village of Sujatha Nagar, in the district of Khammam, in the Telangana region of India, has completed the construction of 25 new sanitation facilities for poor households. The village is benefitting with a total of 200 active families. The program has been achieved in collaboration with the direct beneficiaries who where involved in the selection process and in the all construction phases. Financial and technical partnerhip has been offered by the Presbyterian Hunger Program and SEMI. Awareness campaign conducted by Arbor Animators shared topics about hygiene and health to the population and women empowerment programs took place in the village during the last 10 years. April 2015: Arbor and Semi are partners of UN agency WHO for the Tribal Awareness Program in the Khammam district of Telangana region. 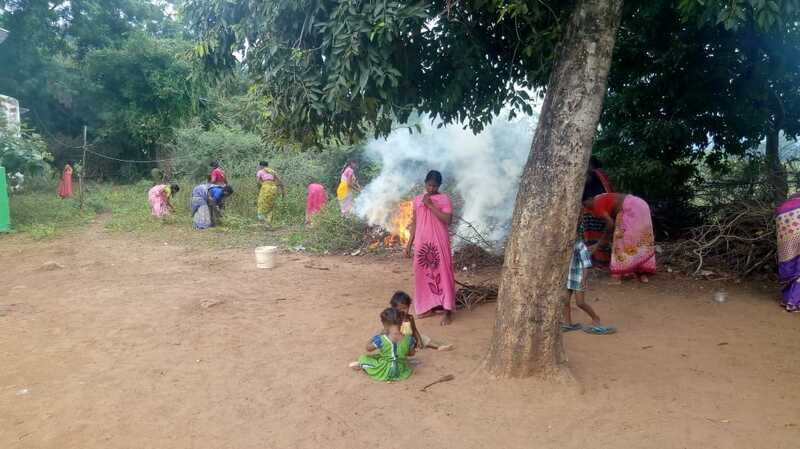 The campaign launched for the World Health Day is targeting food safety and health prevention in the rural district of South India for the tribal villages and Arbor communities. 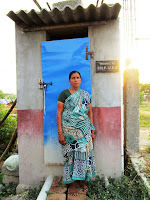 Ramakrishnapuram marzo 2015: 20 new sanitation plans have been inaugurated in the rural village of Ramakrishnapuram, in the Southern district of Khammam, in the region of Telangana. The beneficiaries are 20 familiar groups belonging to the scheduled castes and backward ethnic groups of the community. The sanitations are built with the ecological septic tank technology. This new system will permit the management of sanitary waste and water management of the whole community in a hygienic and sustainable way. Elura Bayyaram 8 march 2015: one of the most important days of the year for all Arbor women. The International Women’s Day has been celebrated in all villages where thousands of women gathered to thank each other for the achievements they have reached in their villages. All women without regard to division, ethnic, cast, cultural, economic or politic shared a full day of joy and feast at sub-centre level. More than 8000 Arbor women where involved at the presence of local authorities, surpanch presidents, journalists, police heads and many guest from the surrounding villages. Today it is an occasion for looking back on past struggles and accomplishments, and more importantly, for looking ahead to the untapped potential and opportunities that await future generations of women. 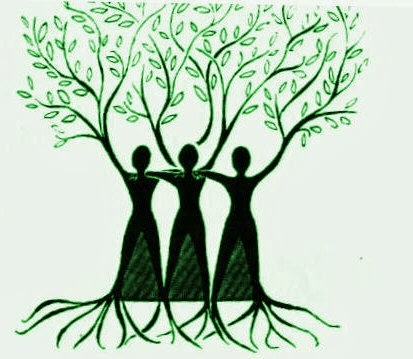 Arbor recognizes and motivate the role of women in peace efforts and all community development and operate to eliminate discrimination, supporting women's full and equal participation. Over the years, Arbor have promoted the participation of women as equal partners with men in achieving sustainable development, peace, security, and full respect for human rights. 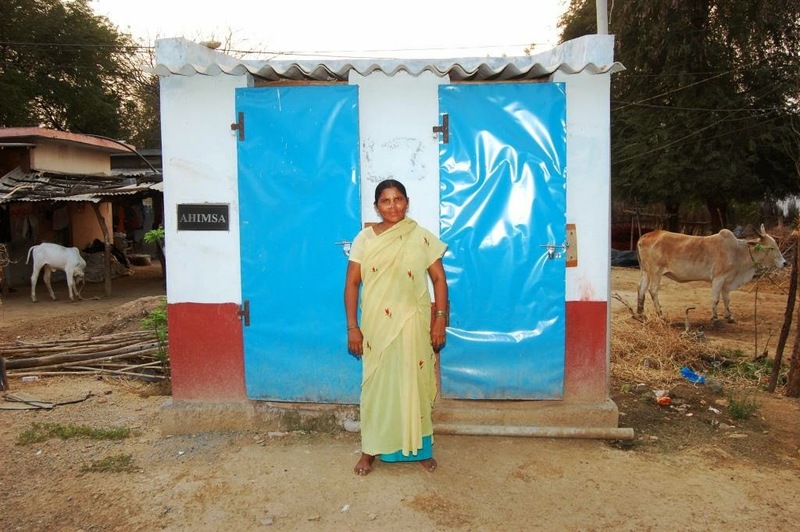 The empowerment of women continues to be a central feature of Arbor efforts to address social, economic and political challenges across the rural and tribal villages of India. 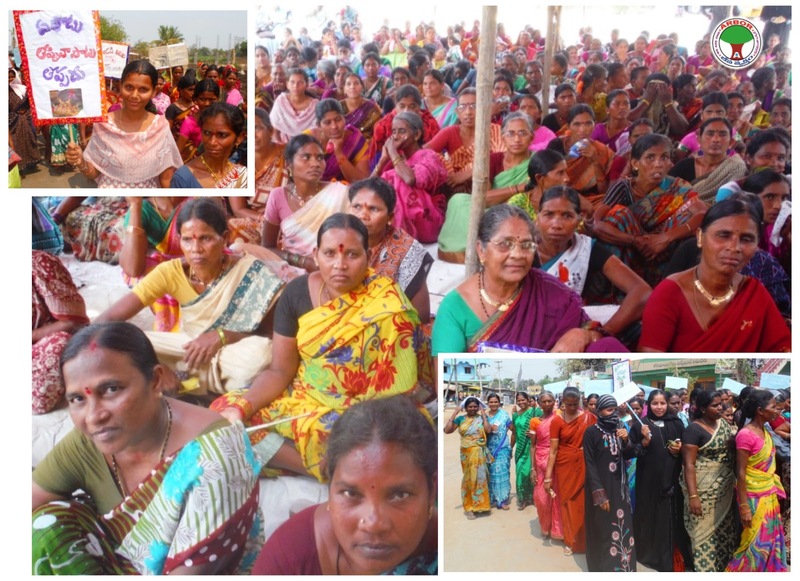 Khammam 12th January 2015: a great day for all the Arbor women of the rural villages. World Associated Country Women of the World president Ruth Shanks visited the field and cooperative programs. The partnership between Arbor and ACWW is meant for helping underprivileged women to develop small scales incoming activities through tailoring and fashion technology. 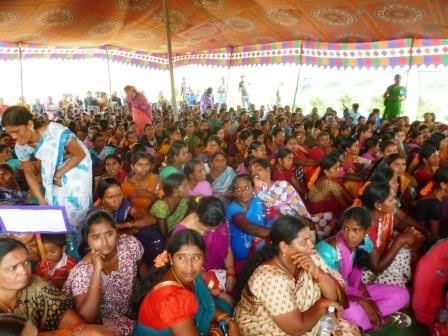 The gathering involved almost 2.000 women from all the surrounding villages which are involved in the integrated program for community based organization. Thanks to Ruth and to all her staff. In the year 2014 Arbor Community has gathered 126 rural villages, 522 groups and 6061 people in 14 mandals of the state of Telangana, India. Field partnering groups are 16 with a total staff of 58 members. The Arbor Community Based Development Program is made effective by 4 sub-centers and branch offices located in the region. 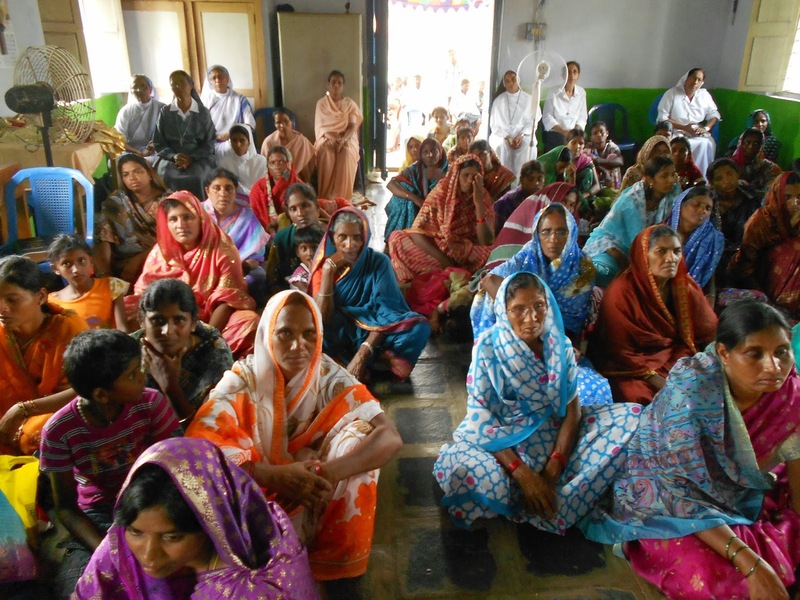 Telangana November 2014: All Arbor centres joined trainings and empowerment for their leaders at cluster village level. The multiple sessions involved 1044 group leaders for the whole month in different topics, including value based leadership, interreligious dialogue and cooperation, participative growth, legal aid and motivational games. Arbor community lives and encourages the sharing of faith, religious communion and spirituality among all creeds and cultures through their leaders and community guides. Khammam, October/November/December 2014: new evaluation and research field program survey has been launched in the Arbor villages of Telangana. The 3 months scholarship program is run in collaboration with Turin University and local partners. 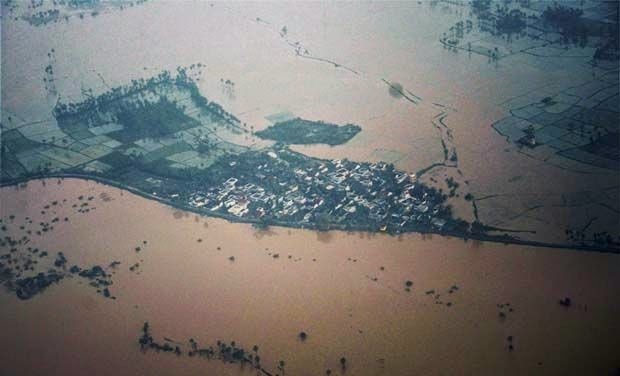 The team is working to implement the "capabilities approach" evaluation system in the concept model of peace Nobel prize Amartya Sen.
Andhra Pradesh, 13th October 2014: Cyclone Hudhud pounded the coastal district of Andhra Pradesh with heavy rains and wind at almost 200 Km/h, leaving 21 dead, devastation and thousands of villages underwater. The last updates from our villages confirm that the cyclone has partially reached the most interior areas of the region and only minor damages are recorded. Restoration activities have been started and rescue teams are working to the relief activities. 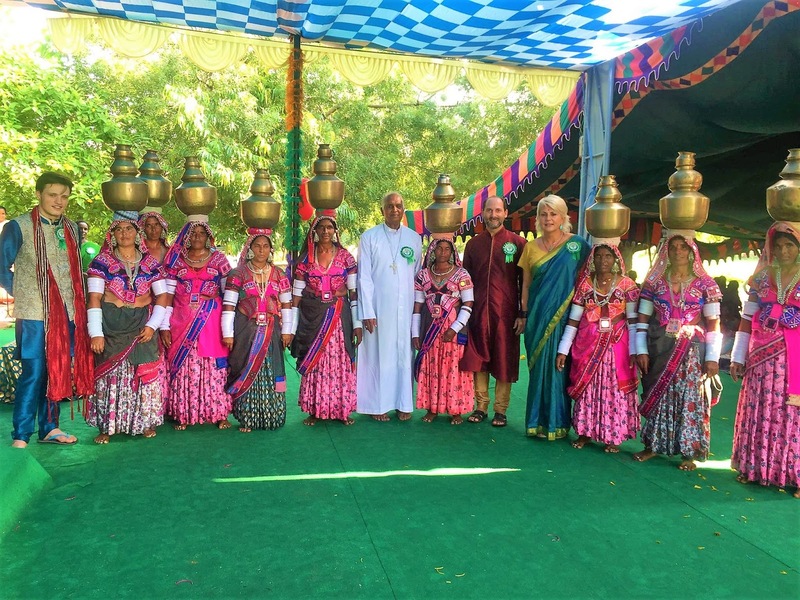 Khammam, Telangana - India July 2014: the ACWW (Association of Country Women of the World) has started a partnership with Arbor Caritable Fondation for the development of a self-employment scheme for tribal women in the countries of the Khammam district in the Telangana region. This program will give the chance to improve the tailoring centres in the rural villages and give a source of income to the poor women living there and to their communities. ACWW is UN Commitee Member with representatives at UN, UNESCO and WHO. 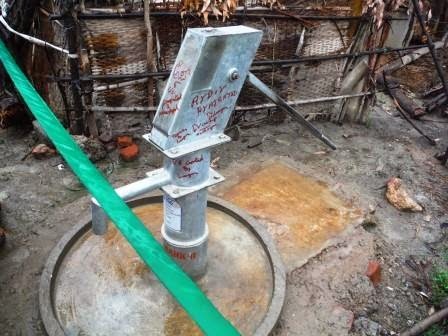 Yerrupalem (Andhra Pradesh) July 14th, 2014: inaugurated a new borewell with handpump for the remote village of Yerrupalem, a depressed mandal in the rural district of Khammam. This area is affected by severe draught and does not have any access to the government plans. A great achievement in the community quality of life. 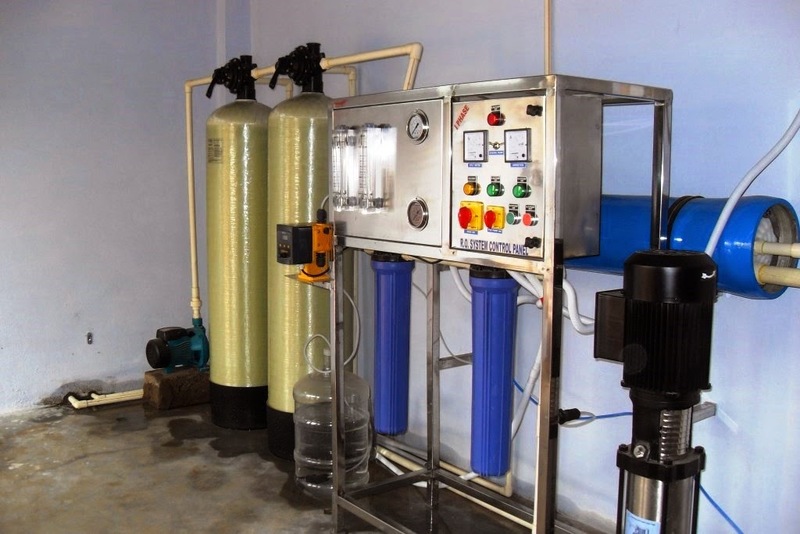 Somulagadda May 1st, 2014: a new water program has been achieved and solemnly opened in the rural district of Khammam. After 16 months of community based organization and the involvement of all the population with its leaders and villagers at all level and cast, the new purified water plant has been terminated. The 1000 litres/hour plant will be managed by the community and will be able to satisfy the whole community needs and get a source of incomes to achieve new common purposes. Thimmaraopet May 2014: a major milestone in the sanitation program launched in 2010 by Arbor. The completion of 20 new sanitations plants in the rural mandal of Thimmaraopet celebrates the 500th settled structure and reaches the target of 1500 beneficiaries families in 35 villages. 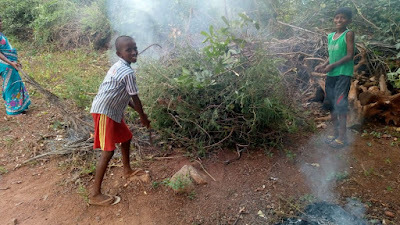 It is a great improvement in the eradication campaign against endemic cholera and viral diseases caused by the wastewaters and open air sewers. The program named Ahimsa is a tribute to Mahatma Gandhi inspiring concept of non-violence against nature which gave ispiration to this program. 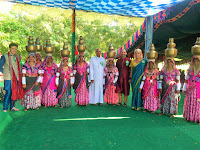 Naidupet March 14th, 2014: in a joyful atmosphere the annual gathering of the Arbor Mahilas of the south district area of Khammam took place in Naidupet. More than 3000 women from hundreds of villages of the district gathered together and celebrated their achievements in occasion of the international women's day. Many tribal communities, scheduled casts and remote villages members reached the beautiful compound of Karunagiri where they all met together and celebrated themselves at the presence of the authorities and the Arbor staff. During the celebration prizes where distributed to the best performing group's members and staff. Sarapaka, March 7th, 2014: the six months training in tailoring and fashion tecnology was completed by 25 tribal girls of the north region of Andhra Pradesh. All the girls obtained the certification and a stitching machine at a subsidized price. They will repay the loan with their work in one year free of interests. The new batch will start in the month of April for 40 new girls. Sarapaka, March 7th, 2014: the women's day celebration gathered around 1200 women for a day of joy and feast. Three Arbor centres of Manuguru, Elura Bayyaram and Sarapaka joined in this common program at the presence of local staff and authorities. All the mahila's self help groups of the area shared their success stories and celebrated the achievements of the women, families and communities of their villages. 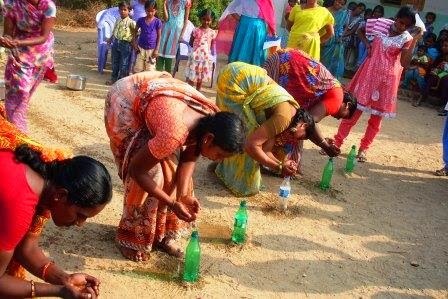 Gollapadu, Febraury 2014: the month of February for all the Arbor villages meant non formal education through awareness games. The issues of water preservation, ecology, common responsibility, self-confidence, unity and solidarity where raised among the villages from the Arbor women in a different ways. All the community took part and enjoyed the mahila's group in action. Andhra Pradesh February 2014: all Arbor villages are preparing the great celebrations for the international women's day. 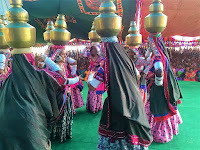 Thousands of women will join at sub-centre level to express their joy and to have a common evaluation of the annual activities in the villages. The annual gathering will involve over 13000 women's from all the villages with their songs, speeches, witnesses and sharing of experiences, good practices and love. Andhra Pradesh, October-November 2013: all the leaders form all the villages have been gathered for the bi-annual leaders training. The aim of the program is to strenghten the role of the groups animators and leaders and to facilitate the comprehension of the development activities and social transformation in the groups and in the villages. Total number of 1022 leaders joined in this program which was runned in 4 sub-centres. Khammam, October 2013: Arbor welcomes George Vayaliparampil from Kerala as new director of the Ayurvedic program in Khammam. The program since 2007 is providing herbal relieves to the communities of the region and teaching them to provide for their medicines from the surrounding nature and natural approach to the most common and endemic sicknesses. 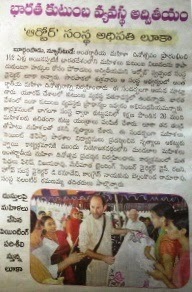 In Khammam the program is starting a centre for therapies and treatments to the people of the city. Panchakarma treatment and healing therapies are provided directly in the production centre. Together with the mobile clinic the allopathic remedies are also brought to the interior villages and distributed to the most needy. Andhra Pradesh 9-15 September 2013: all the communities united in a day of fasting and prayer for the peace in the world, in the martir land of Siria and in the all middle-east. The Arbor people organized in three areas offered a full day of solidarity with all the brothers victims of war and persecutions in the world. Hindus, Muslims, Christians, men women and children united for a unique purpose of love.